The land of Scientia Terra was a calm and tranquil place. The land was abundant in resources and therefore many different trades people, from mining to carpentry and masonry, along with their families, called this land home. It's people lived happily and without worry until the accidental discovery a rare and powerful gem stone by a local mining group. The discovery was first thought of as wondrous but word of its discovery quickly spread across the land. Soon, many different unwanted guests were entering the kingdom of Scientia Terra. Knowing the power that this gem possessed and worried for the safety of his people, Master Heebs, the king of Scientia Terra, hid the gem in the hopes that it would not land in the wrong hands thereby bringing no harm to anyone. During a stormy evening, a sight not too uncommon in this land due to its ample water, a scout for the evil Minotaur King, a previous outcast from this land, was able to infiltrate the castle of Master Heebs unbeknown to all. 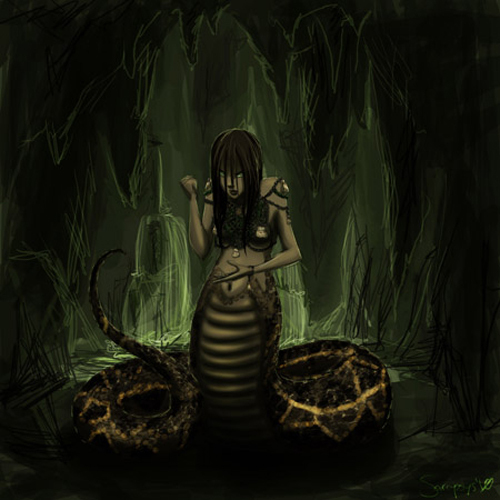 As he secretly progressed throughout the castle he was able to discover the secret location of the gem stone and reported back to his evil master. This was the moment the history of this great land would forever change. With this newfound knowledge the Minotaur King began to plan his attack on the land of Scientia Terra in the hope of attaining the stone. His army began to grow and fully aware of the 5 major cities that make up Scientia Terra he recruited 5 different generals to help him execute his master plan. Each general would be responsible for the sudden, yet systematic destruction of these 5 major hubs. Can you, before time runs out, discover the location of the keys, defeat the generals, eliminate the Minotaur King and save the population of Scientia Terra? The busy city of Materium Paludem is considered the lands major trade hub. Surrounded by a vast array of resources this hustling town will be key in your journey. 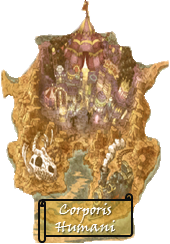 Many different items can be found here and legend has it that before it was taken control by the Minotaur King's general Insectosiege it once housed a skilled alchemist and crafter who could forge a number of different items. Can you eradicate Insectosiege and his evil henchman? Can you discover the location of the alchemist and crafter? Can you rebuild his shop? Corporis Humani, although now a desolate land, used to be home to some of Scientia Terra's brightest researchers and medical doctors before it was overrun and burned by the tactical general Ember. Can you extinguish his rule and help free the slaves currently put to work in their notorious POW camps? The bright lights of Optica Lux could be seen for miles across the land. The most technologically advanced hub of Scientia Terra is where the most technological breakthroughs and powerful weapons could be discovered. Despite their riches in technology, this land was captured by Photocobra and its people enslaved. They are now forced to generate plans and technology to help the evil Minotaur King discover the location of gem. Can you stop them? 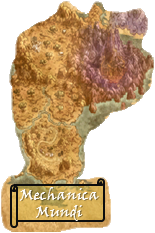 Mechanica Mundi is an inventors dream town. Obsessively designed around the concept of machines, this efficient town is truly one of a kind. Regrettably, it too has fallen victim to the evil Minotaur King who dispatched Battle Masher there to seize control. While the path is long to this destination would you restore this land to its former glory and discover the mystical machines that once existed there? 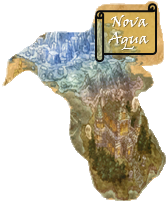 Finally, Nova Aqua is a watery port side city central to the trade market of Scientia Terra. 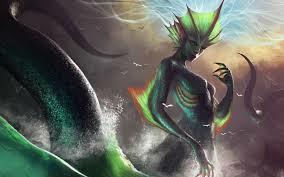 Once a busy trade zone, the evil Hydromistress recently took control of the land and has destroyed the port. Her fleet of enemy ships has disrupted all trade activity and her control of the water market in Scientia Terra is running the land dry. Can you restore order at the port?